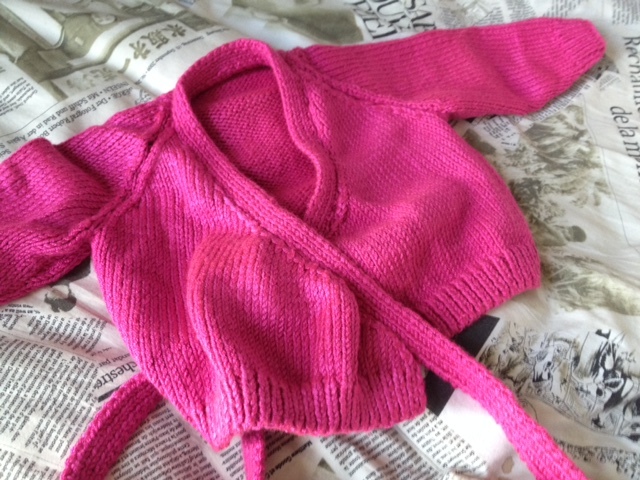 Tried the pattern in Cottonish yarn. Worked really nicely. 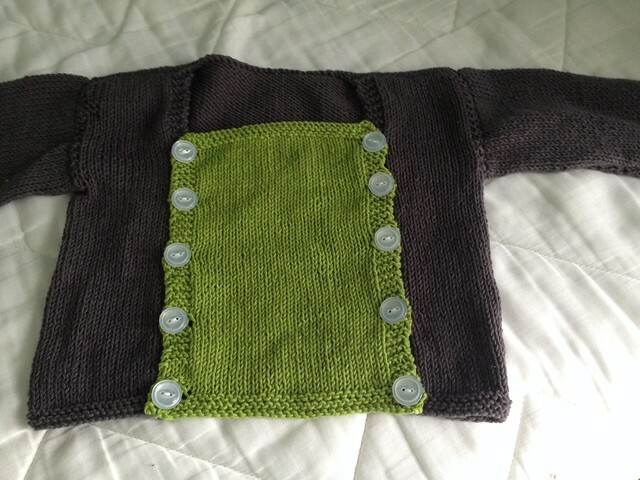 Added about 2-3 inches to each sleeve for Mr. Baby’s long monkey arms. Two booboos. 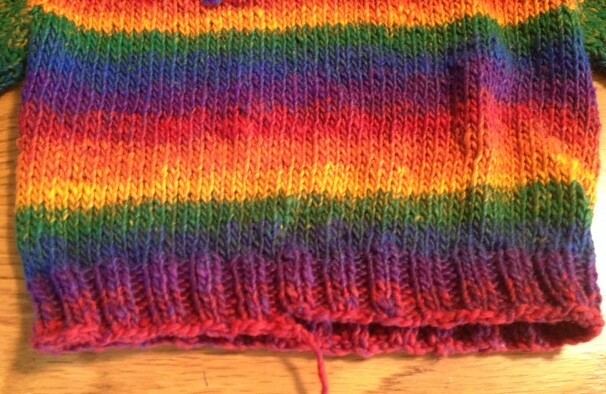 One – too much garter stitch along sleeve edge. 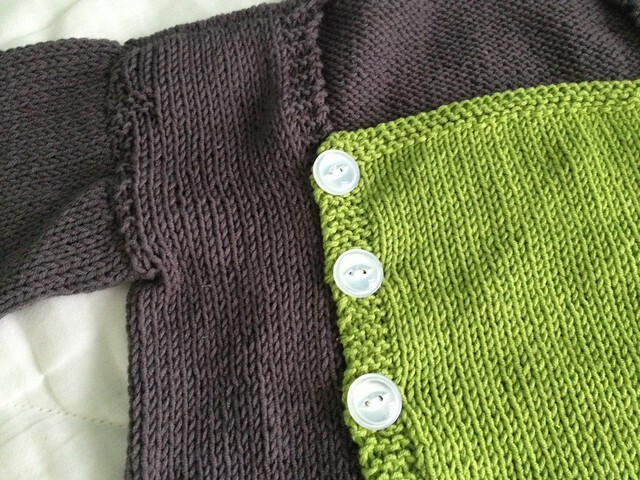 And two – skipped a garter row in the green. Can’t believe I had to go out and buy some given the overflowing status of the button box, but it needed 10 and I wanted them to match. This is the right size, but the neckhole is sort of giant for reasons I cannot explain. 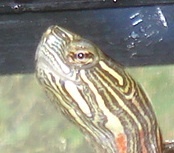 Maybe he’s just too big for this square neck style? 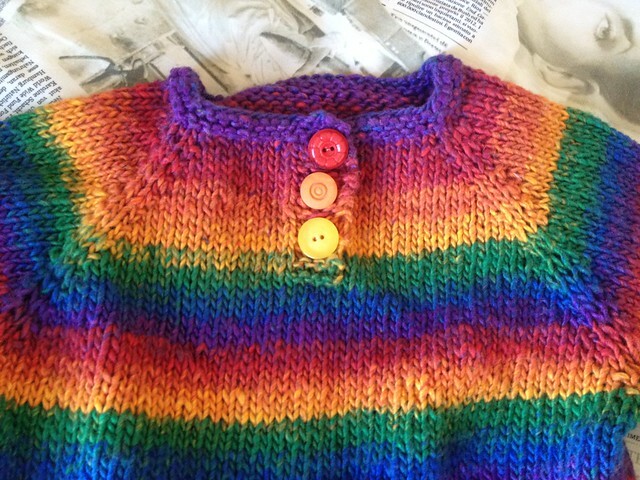 All details here via Ravelry. Can you tell which are handmade and which are from the store? Stash khaki fabric used to mock up a Christmas outfit. Liked them so much, I yanked the turquoise basting and restitched for real. Camouflage cotton cut from an old skirt of mine that’s now too short. Denim skulls also cut from a skirt from the same wonderful pattern, so also too short. 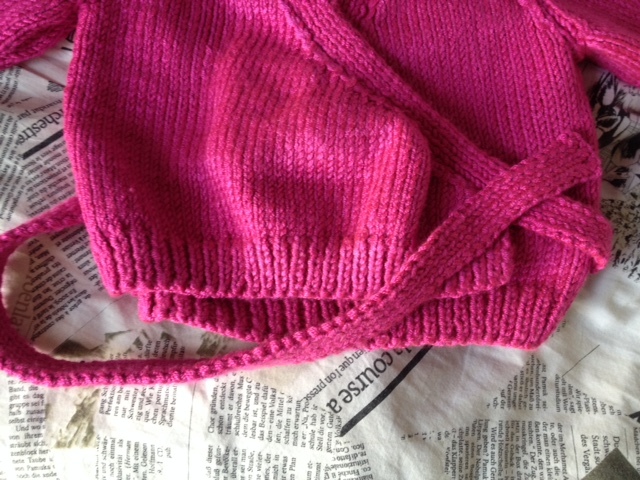 The denim was tricky – I ran out of fabric so had to craft a waistband from denim scraps lined with light black cotton. But it worked. Not pictured: Navy terry scraps from a nephew’s baby romper. 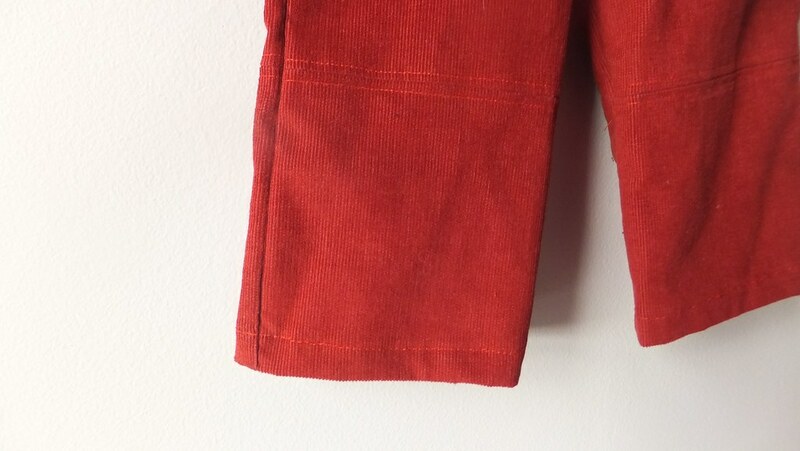 These have a slightly wider waistband — I didn’t fold the hem under inside but instead zig zagged it down to reduce some of the bulk of the fabric. 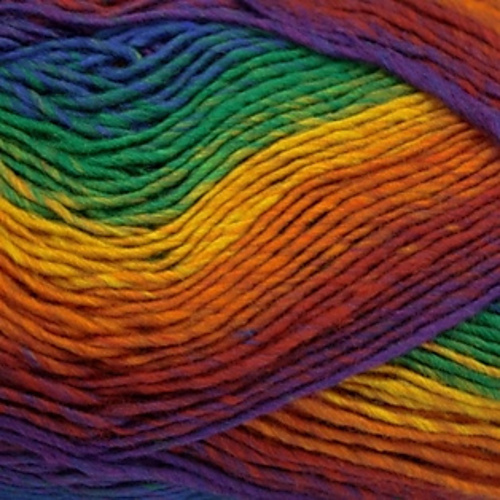 The knit won’t unravel. All have grosgrain tags stitched into the back of the waistband so it’s easy to tell back from front. 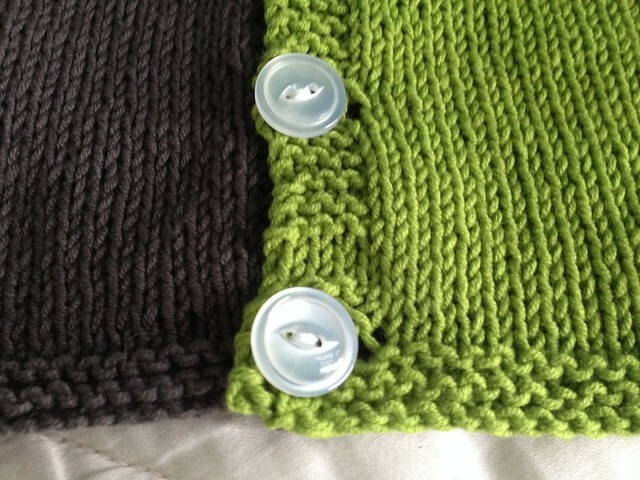 Really easy knit. I’ve made this pattern before and would make it again. Details here. 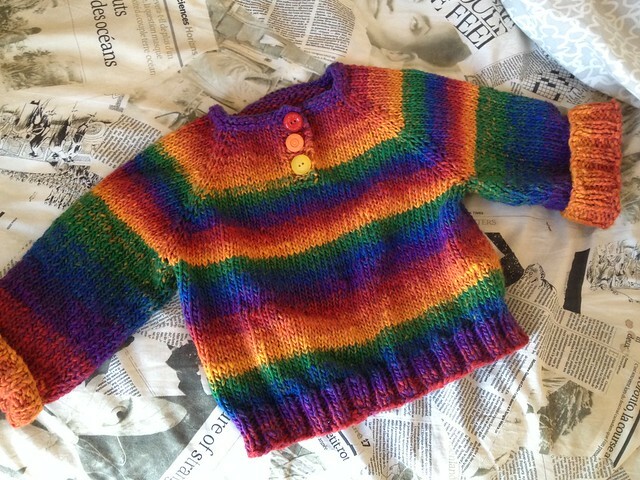 The yarn came from a clearance sale bought on purpose for babies. 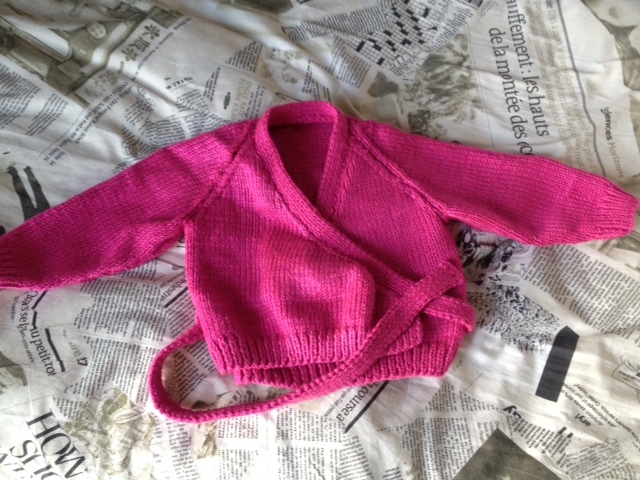 I wasn’t sure what I’d do with it at the time but picked it up anyway – its cousin made this cardigan for a friend. 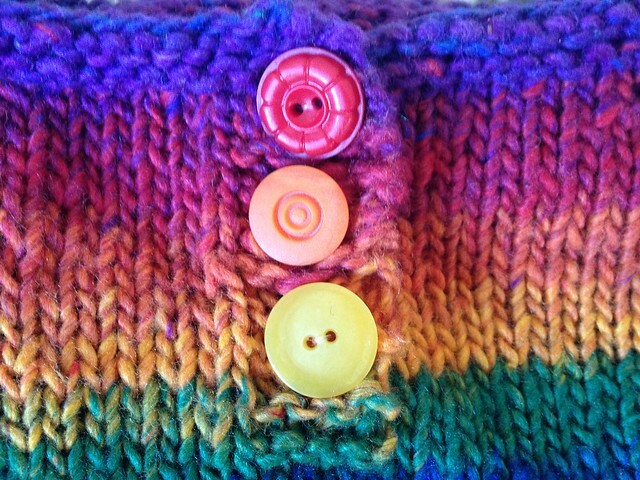 The buttons were fished out of the button box. Tried white, black, dark blue. Preferred the rainbow effect. Just in time, too. Mr. Baby learned last weekend to say “rainbow”. Also just in time because today it snowed for the second time in a week. Feels so good to finish! That is a pile of real baby clothes on the left. Completed and ready to go. 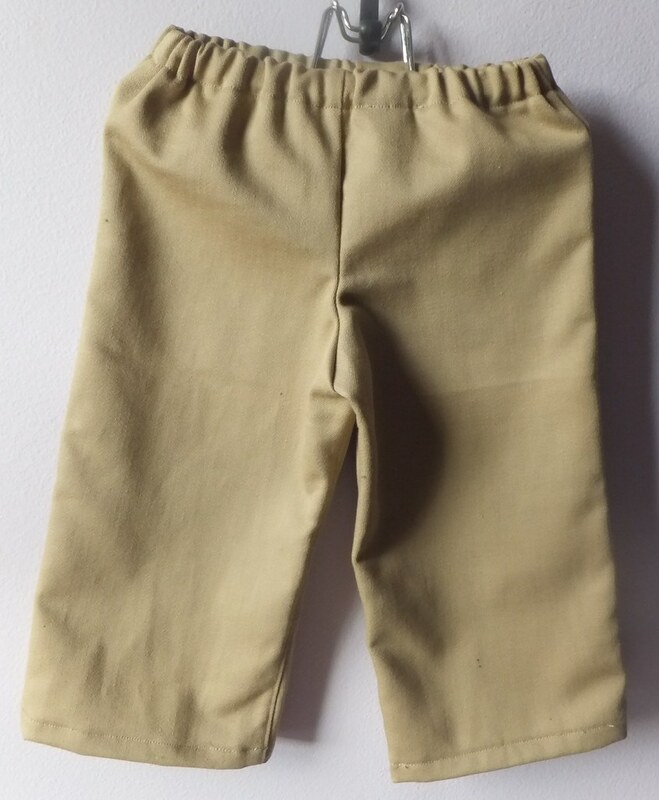 By the time you read this, Mr. Baby will already have worn the airplane pants and flannel-lined khakis. The right side is another story, but one step at a time. This pattern is a hit. 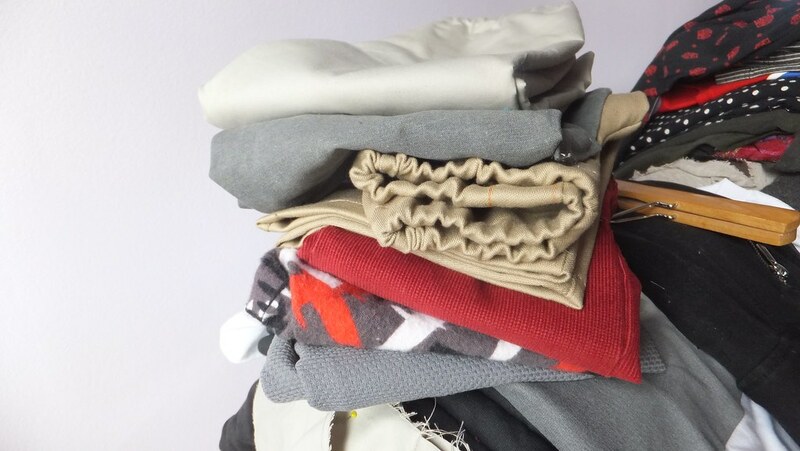 And I’ve been pulling all kinds of fabric from the stash for Mr. Baby. 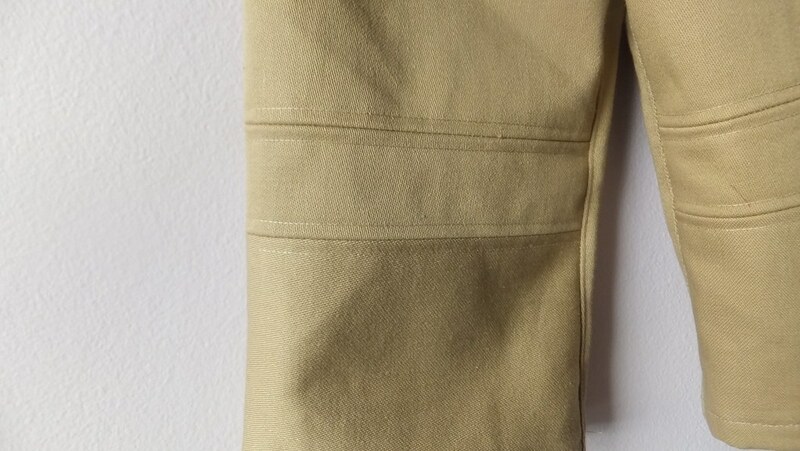 This khaki twill came from a thrift store and made me a skirt muslin years ago. It’s such nice stuff I had no business making a muslin from it. But I don’t wear khaki so I chopped it up. At any rate, there was not enough left to cut pants straight from the envelope. 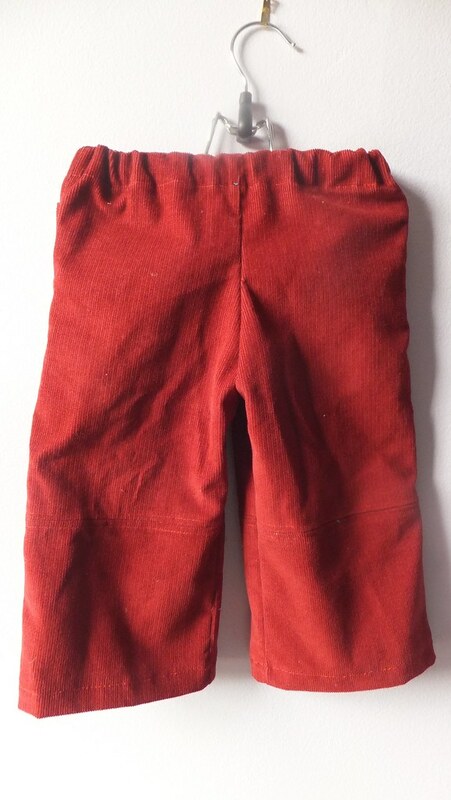 With some finagling, though, I turned the scraps into baby pants. Simplicity 2907. The backs from went from four pieces to two. 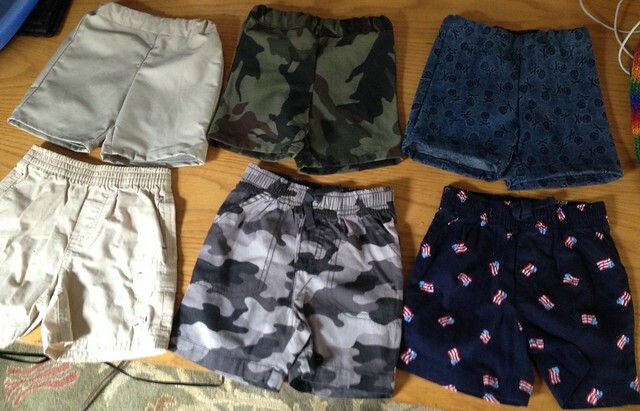 I lengthened the bottoms of the upper back pieces by about six inches, essentially making shorts into long pants. The front uppers got cut out according to the directions. 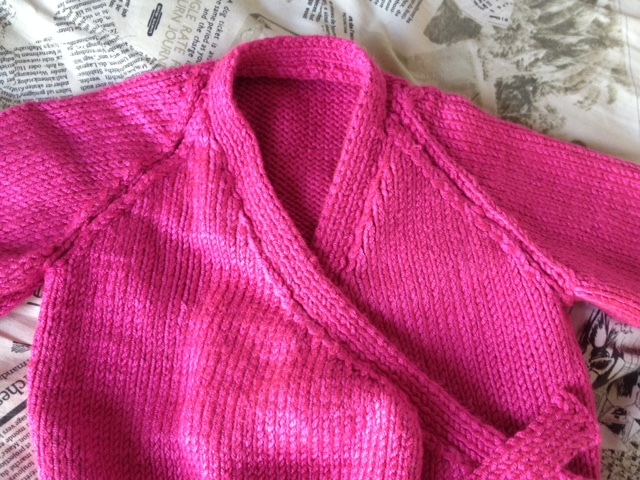 I eked out a two-inch piece on the bias for the knees, and then four-inch bottom fronts on grain. The bias cut wasn’t so much for design as just how the pieces fit. Stitched the legs together and carefully topstitched them as directed. Zigzagged the seams inside. 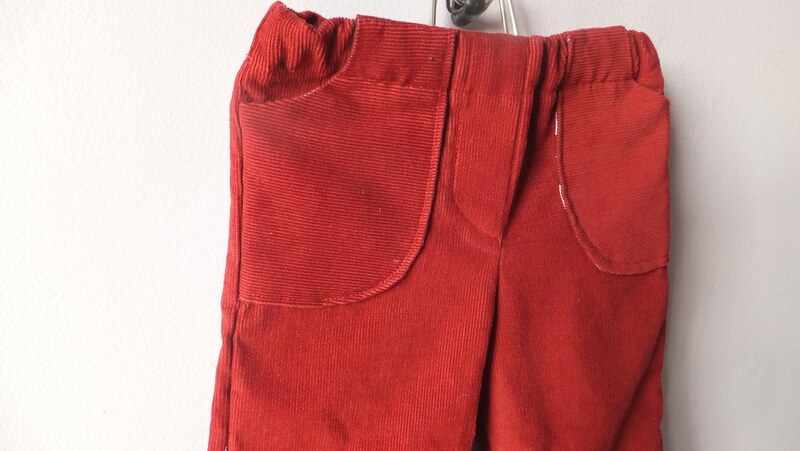 And added a red tag in the back of the waistband. No pockets this time. I just couldn’t make the pockets work, and didn’t want to mess around with any contrasting fabrics this time. Too classic. Mr. Baby was going to wear shorts for Christmas. This was certain. Ideally, they’d have flat fronts. 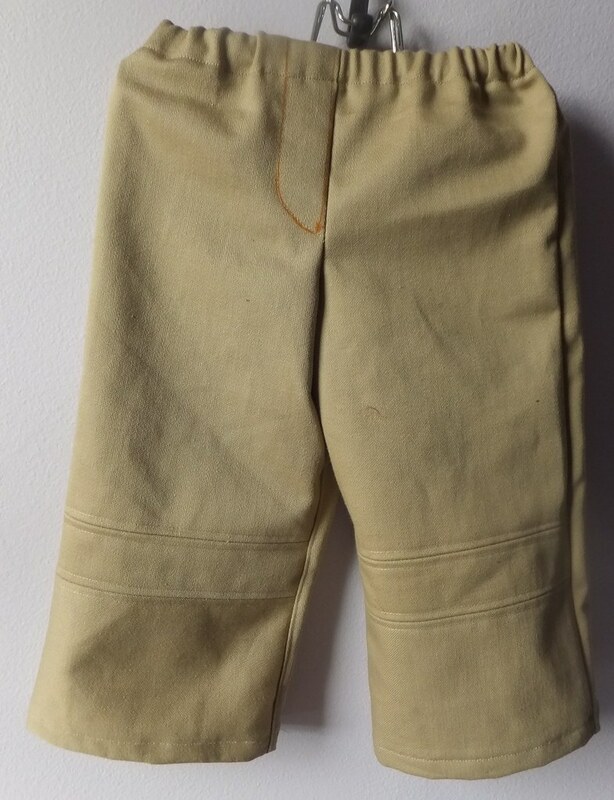 Flat-front baby pants, though, are hard to come by. So by December, I turned to eBay for this out of print number, Simplicity 2907, thinking these might actually be flat front. 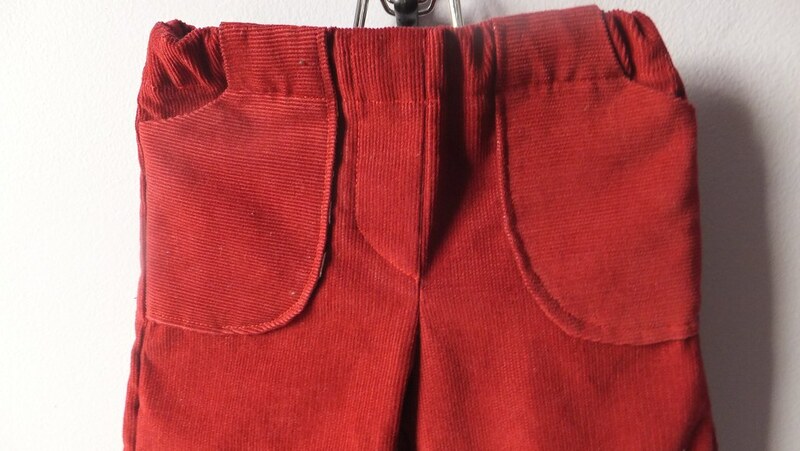 Or maybe it’d be easy enough to make the fronts flat using the technique from the above freebie since these pants are made from four pieces instead of two. I had to try them out. 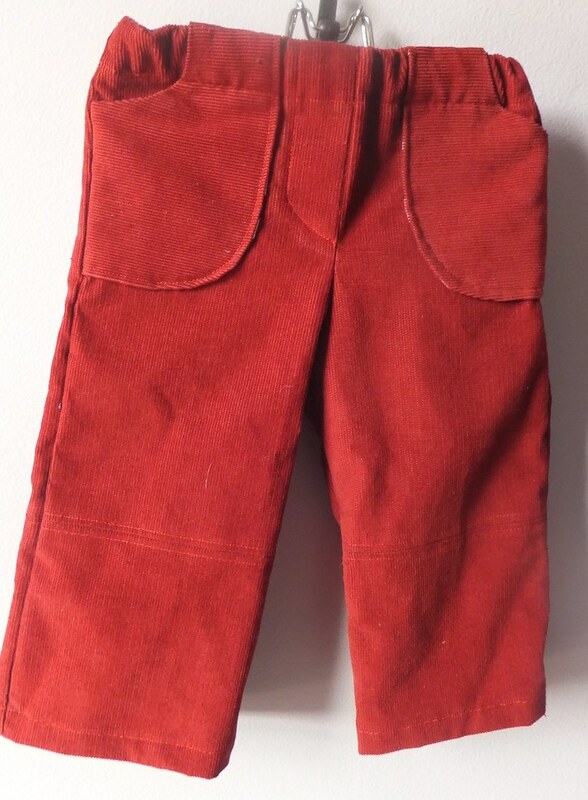 I pulled some red corduroy from the stash that came years ago from the Ravenswood Manor yard sale. I cut the pattern as directed. 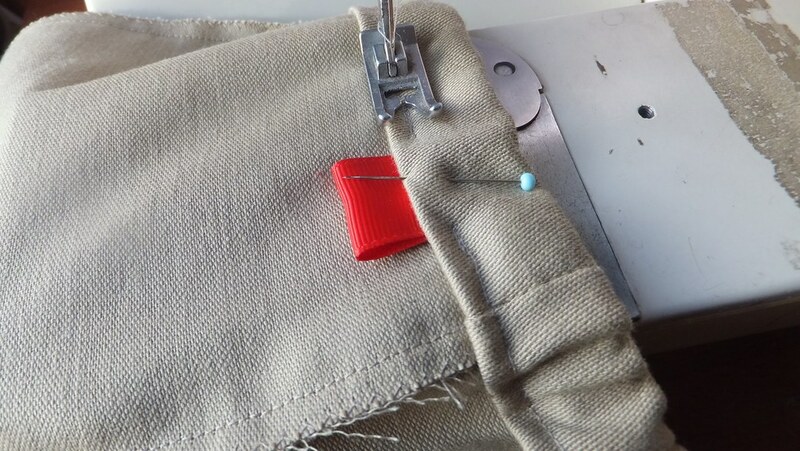 When the instructions wanted the tiny pocket edges hemmed, I decided to line them with some cotton scraps so they’d have smoother, cleaner lines. Lining in general was a smart move. 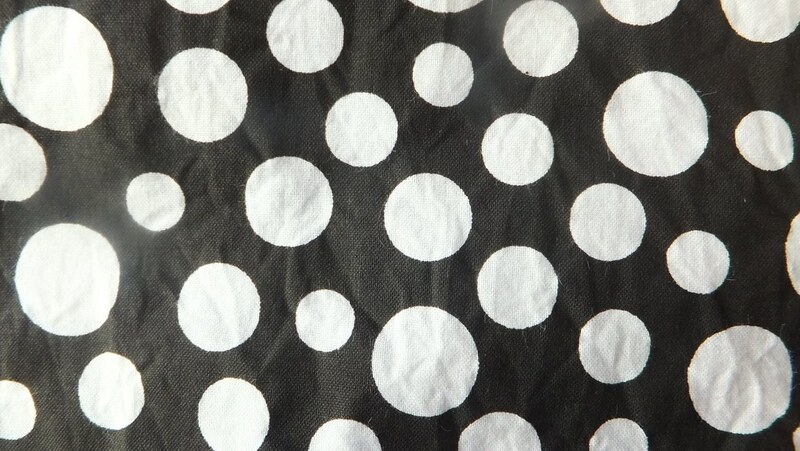 But choosing black and white polka dots for the red pants was perhaps a misstep. Really cute print but shows more than I like. 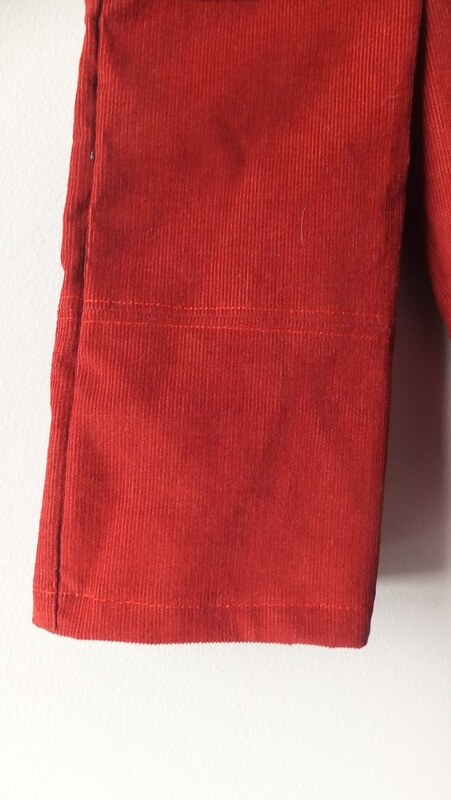 Carefully topstitched the pockets, the leg seams, the hems. 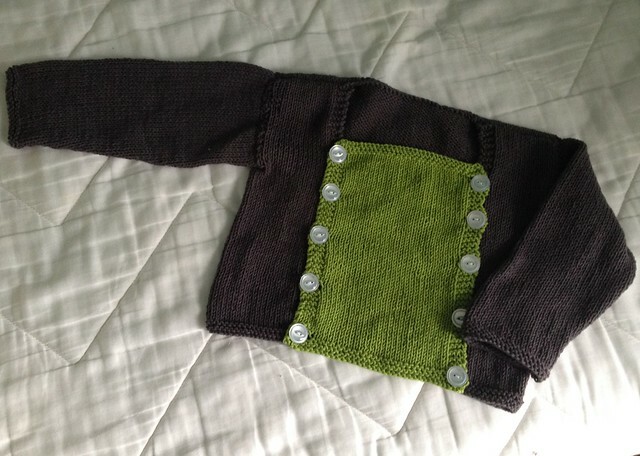 My mister wonders if they’re too much for Mr. Baby to pull off? From what I know about this small person, there’s no way. Thinking to put them on him with a white printed shirt and some sweet black hightop Chuck Taylors.